Autism or Autism Spectrum Disorder (ASD) is a term increasingly heard in the news and other public forums. The Centers for Disease Control and Prevention has identified a notable increase in the number of ASD diagnoses, from 1 in 150 children in 2000 to 1 in 68 children by 2012. The increase likely is not due to more cases, but instead to an expanded definition and greater awareness among clinicians. 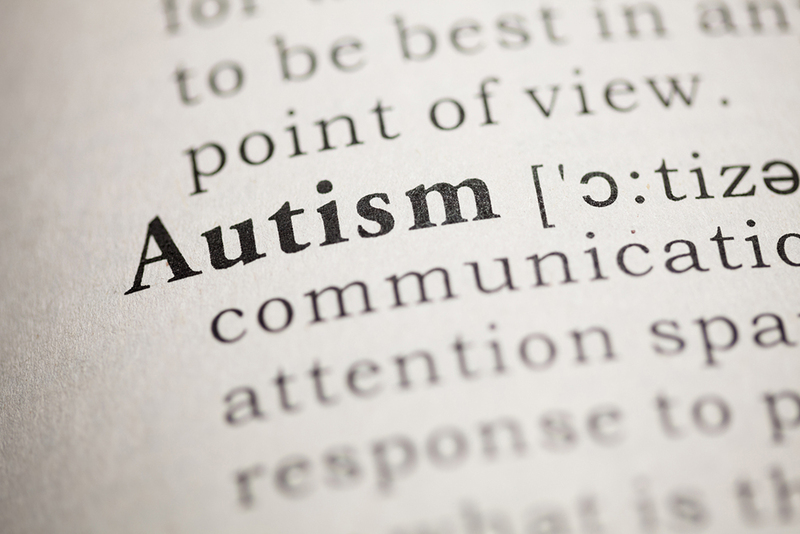 More recently, attention has shifted to diagnosing and treating adults with autism. While the prevalence of autism is not high, the effects of this disorder can be broad and at times limiting. Adults with autism often experience additional challenges such as depression, ADHD or medical conditions such as epilepsy. Autism is a neurodevelopmental disorder that involves impairment in the brain and/or nervous system. Symptoms must be present in childhood; they remain present throughout adolescence and adulthood. The three core areas of difficulty for someone who has autism are communication, social interaction and repetitiveness. A person may have few to no facial expressions or poor eye contact during social interaction, and may struggle to pick up on social cues and to express feelings. She may engage in one-sided conversations and unintentionally ask embarrassing questions or point out others’ mistakes. Another characteristic is a strong focus on details. Someone with more profound autism may engage in repetitive behaviors such as rocking back and forth or repeating a certain phrase. A person with ASD also may show signs of rigidity; for example, insisting on a very specific schedule or being overly fixated on a specific hobby or pastime. The severity of the impairment varies, with people occasionally referred to as high or low functioning. For example, Asperger’s is a term formally used to describe a high functioning form of autism. These individuals tend to have less difficulty with communication and intellectual ability, but often feel awkward and uncomfortable interacting with others and expressing emotion. Given the complexity of the condition and how it may mimic other diagnoses, a professional assessment is important to help guide treatment. Diagnosing autism typically includes interviews, observation and testing. In 2015, researchers at the Wales Autism Research Centre at Cardiff University published a self-report measure that identifies repetitive behaviors associated with autism. Saint Luke Institute uses similar instruments as part of its evaluation. This allows an individual to self-report symptoms or traits characteristic of autism spectrum disorder. For many individuals, a diagnosis later in life can be a relief. They may have had a chronic sense of being different and a discomfort relating to others, but without knowing the true cause. In many instances, these individuals have struggled throughout life academically and socially and may have been diagnosed – or misdiagnosed – with ADHD, learning disorders or mood disorders. Therapy is guided by the severity of autism (where a person is “on the spectrum”) and whether a person has depression or other challenges. Someone with mild autism and no associated depression or ADHD may progress very well with a focus on skill building through individual therapy as well as group therapy to learn and practice social interaction skills. While no currently –available drugs are specifically designed to treat autism, other medications can help alleviate associated symptoms such as irritability, inattention, anxiety and depression. Residential treatment may be particularly helpful for a religious or clergy who is experiencing these additional symptoms. At Saint Luke Institute, the person would participate in individual and group therapy. This would help her identify problems, develop healthy coping skills and navigate difficult social situations. The resident also would be supported with coordinated and ongoing medical care and psychiatric services. ASD presents unique opportunities and challenges for religious life. Associated traits such as attention to detail and concrete communication may be considered strengths. Someone with autism may also find the sense of community, routine and stability of religious life helpful. On the other hand, living in community, meeting the demands of ministry, and managing complex social relationships with subordinates, peers and superiors may pose particular difficulties for someone who struggles with social interaction. Left unaddressed, withdrawal, depression and acting out may occur. In either case, it is a process of learning not just for the individual, but also for the community. If approached in an informed and sensitive manner, a later diagnosis of ASD can be integrated into a meaningful and fulfilling life, including that of ministry. Tasha Dorsey, Psy.D., is a therapist for the residential program at Saint Luke Institute.